The Doctor has little love for slavers. Yet as the saying says, "misery acquaints a man with strange bedfellows." There is misery aplenty in 17th century Brazil when The Doctor and his companions stumble across a conquistador camp besieged by monsters. As The Doctor and Tara - a UNIT medic who stowed-away on the TARDIS after their last adventure - look into the monsters, Captain Jack Harkness and Rose Tyler go off investigating a link to Jack's forgotten past. A past that apparently involved his posing as a Jesuit priest on behalf of The Time Agents! 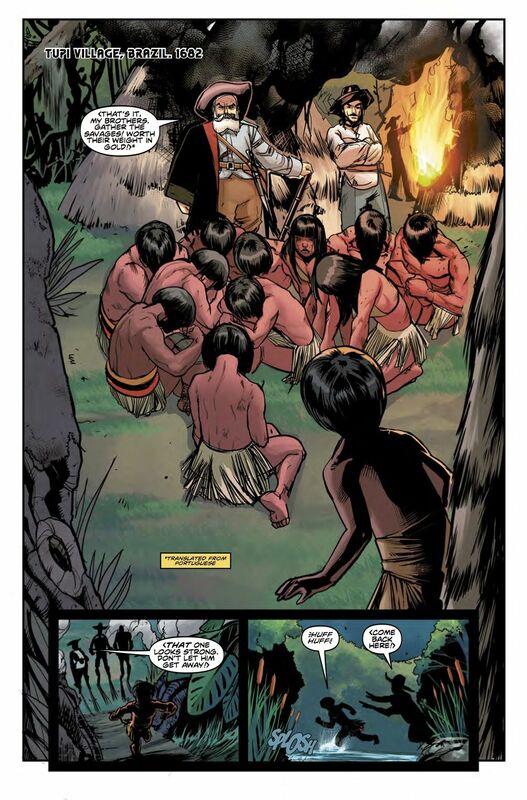 Even in the comics it is a rare thing to see Doctor Who tackle historical stories outside of a European setting. For that reason alone is this first chapter of Slaver's Song notable. Brazilian artist Adriana Melo teamed with writer Cavan Scott on plotting the story for this issue, presumably suggesting a story based on the rich and troubled history of her own nation. Ignoring the novelty, this is a damn fine comic. Scott remains one of the strongest writers to tackle The Doctor and his friends since Titan Comics took over the license. Melo's artwork - while losing some detail in the far distance shots - remains largely excellent. 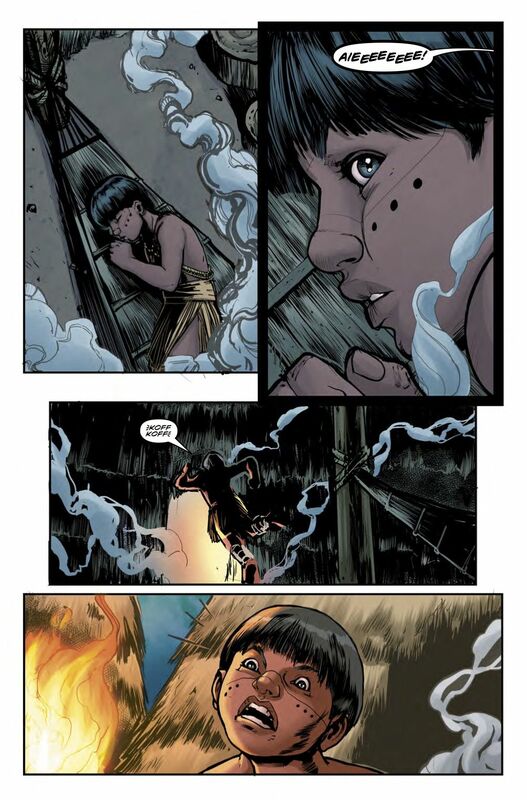 And my only complaint about colorist Marco Lesko is that the shade of brown-gold he uses for Rose's eyes leaves her looking like a Cheetah Person from Survival. 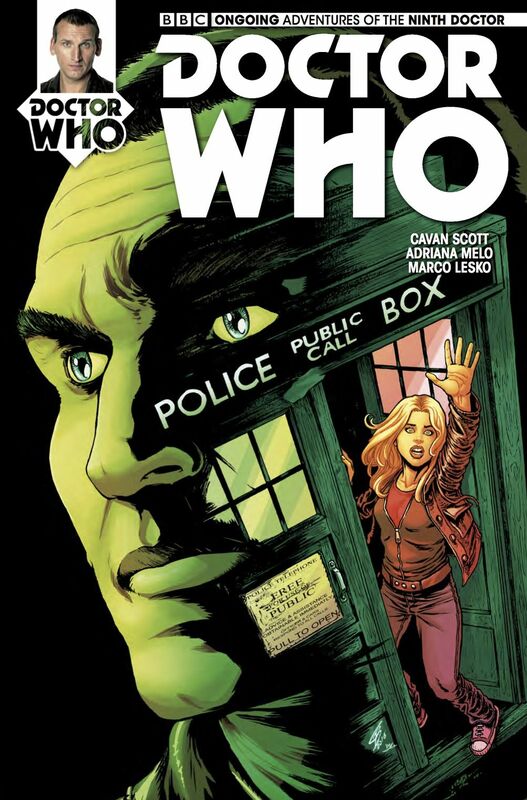 Doctor Who: The Ninth Doctor #9 releases on Janyary 18th, 2017. 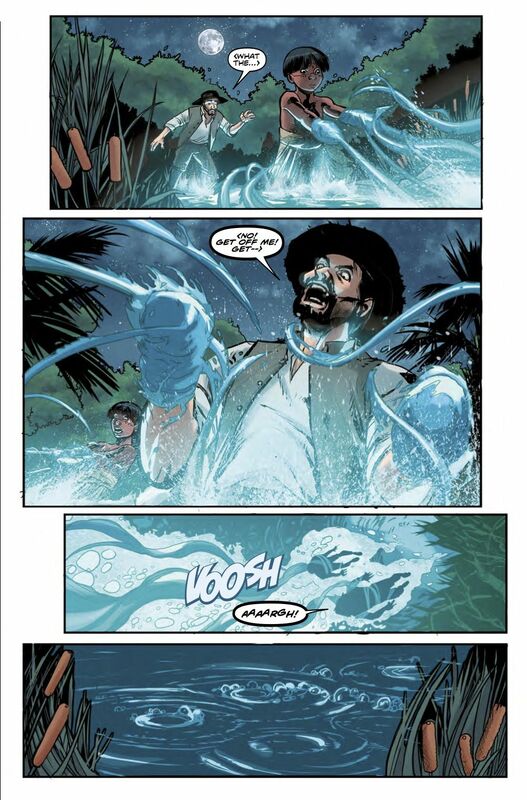 Ask for it at your local comic shop or purchase it on Comixology.com.